From some of my favorite sites, glean inspiration from these five enchanting bedrooms for this week's Friday's Favorite Five. 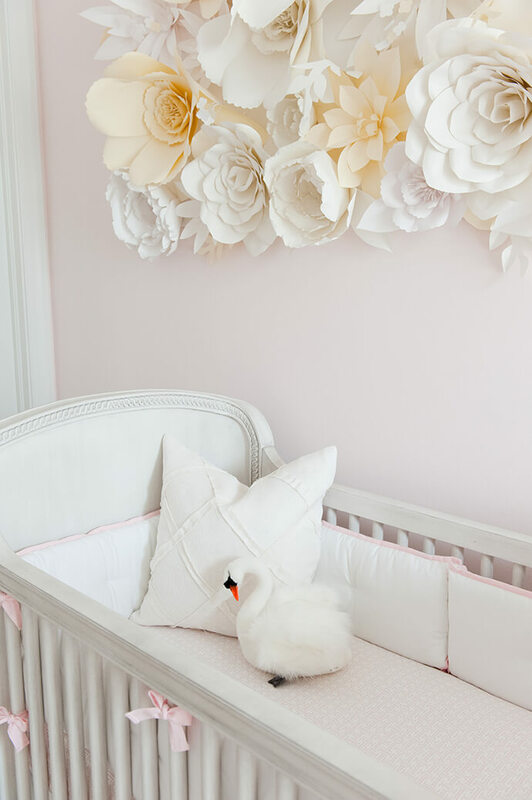 Designed to perfection by Luxe Report Designs, this sweet swan-filled nursery is chic and adorable. Just in case you're like me and you love this rug and wondering where it came from...it's the Black Spotted Rug from Caitlin Wilson. 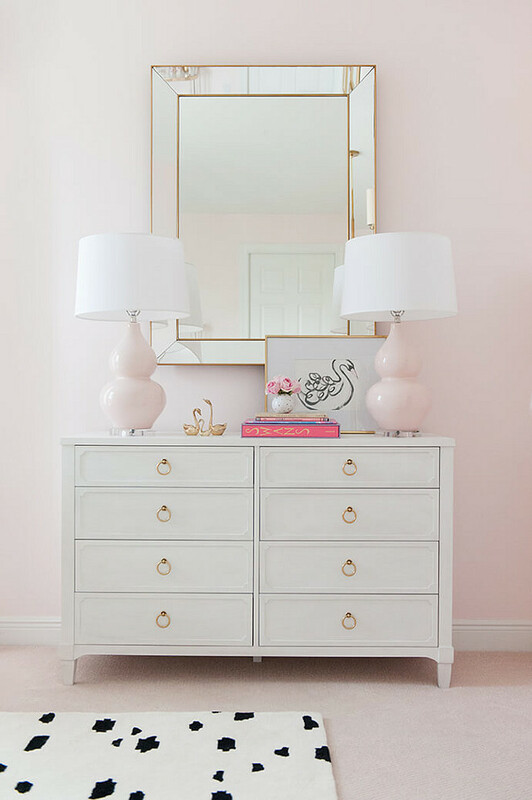 You'll find more information about this enchanting nursery at PalmBeachLately.com. This wingback bed and stunning view top my favorite five for this week. The soothing and restful color palette allow the view to take center stage. I love all the windows and natural light enveloping the room! It's designed by Urban Grace Interiors. 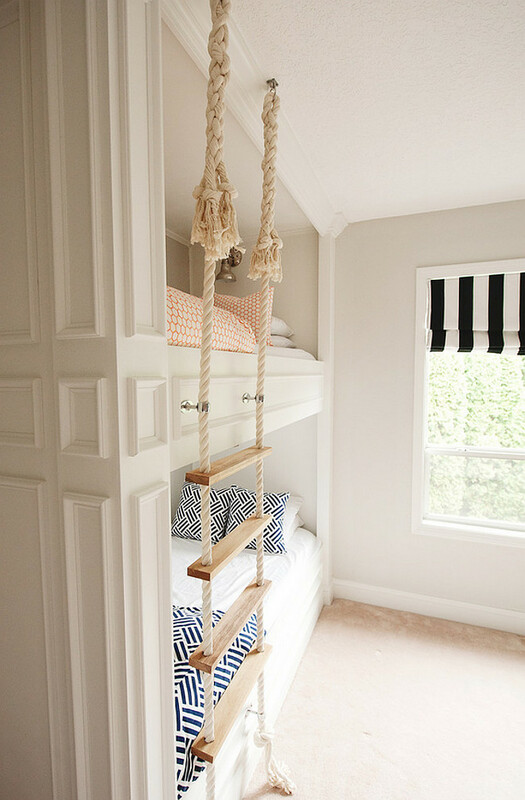 I love this built-in bunk bed, but even more I love this rope ladder. And what's even better, you'll find a full tutorial with step-by-step instructions to make your own bunk bed rope ladder at this site: MikaelMonsonPhotography.com. Creative!! 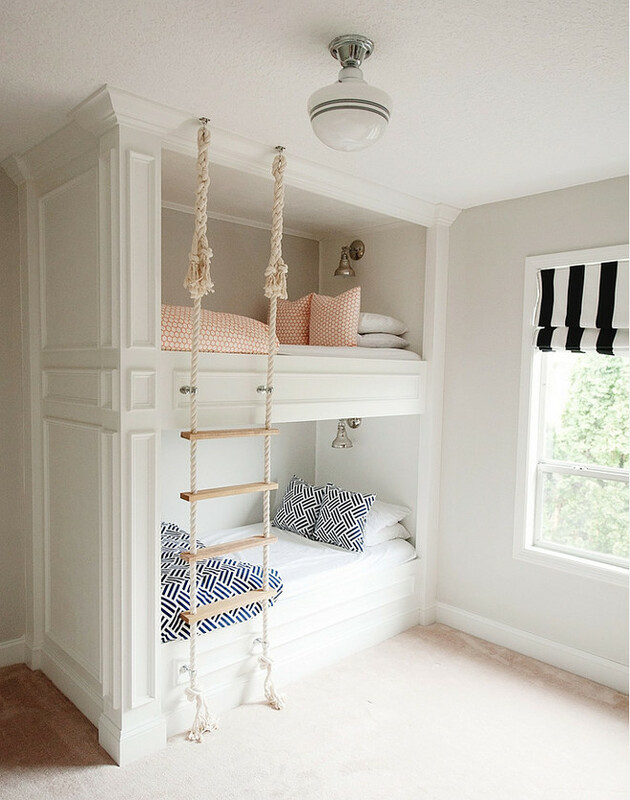 Source: Home Bunch I think this boy's bedroom is brimming with fun ideas and it's definitely worthy of this week's favorite five! Don't you love the storage lockers under the bed? Source: Home Bunch There is so much to love about this spacious master bedroom, but my personal favorites are the antique doors hung with barn door hardware and those floors!! What do you think of my picks for Friday's Favorite Five? Do you have a favorite room of these five bedrooms? I hope you all have a wonderful weekend to look forward to. I'll be at Cactus & Tropical in Salt Lake City for an outdoor garden container class tomorrow (Saturday). I'm excited to attend and look forward to sharing tips and ideas from the class with you next week. Have a great weekend!